The 5th annual James K. Knowles Lecture and Caltech Solid Mechanics Symposium will be held on Friday, January 24, 2014, in the Lees-Kubota Auditorium. The James K. Knowles Lecture by Pierre M. Suquet, National Center for Scientific Research in Marseille, will be followed by the Solid Mechanics Symposium with presentations by current Caltech graduate students and postdocs. Solid materials are, by nature or by construction, multiscale objects. Polycrystalline polar ice is a typical example of such a material with many different scales and will be used to motivate this talk. Understanding the interplay between features at different scales is a challenging intellectual problem, one of those that Jim Knowles would certainly have encouraged young researchers to address, most probably opening the way himself. In many cases it also sheds light on specific aspects of material behavior. Unfortunately, the truth is that there exists no rigorous scale-decoupling in nonlinear problems and the practical answer to such problems involves approximations which are often contradicted by experimental evidence. This talk will survey some recent improvements to these approximations, accounting for instance for field fluctuations in mean-field theories, or using model-reduction techniques inspired by observations made possible by recent progress in experimental techniques or numerical simulations. 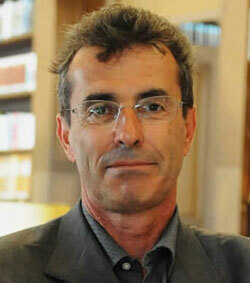 Pierre M. Suquet has been a Senior Researcher at the National Center for Scientific Research in Marseille since 1988. He received his BS in Mathematics from the Ecole Normale Supérieure and his PhD in Mechanics from the University Pierre et Marie Curie, both in Paris, before becoming Professor at Montpellier University in 1983. He has also taught at the Ecole Polytechnique in Paris from 1986 to 2008. His research is in the field of theoretical solid mechanics where he is interested in the formulation of constitutive relations for solid materials when several scales interact, especially in composite materials and polycrystals. 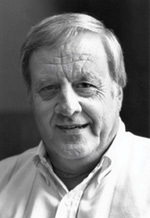 His work covers mathematical analyses of elastoplasticity, homogenization and bounding techniques for nonlinear composites, spectral methods for micromechanical problems, ductile failure of materials. He is a member of the French Academy of Sciences since 2004, was awarded the 2006 Koiter medal from the ASME and is on the editorial or advisory board of 5 international scientific journals. He is chair of the French National Committee for Mechanics and will serve, as of January 2014, as Secretary General of Euromech.